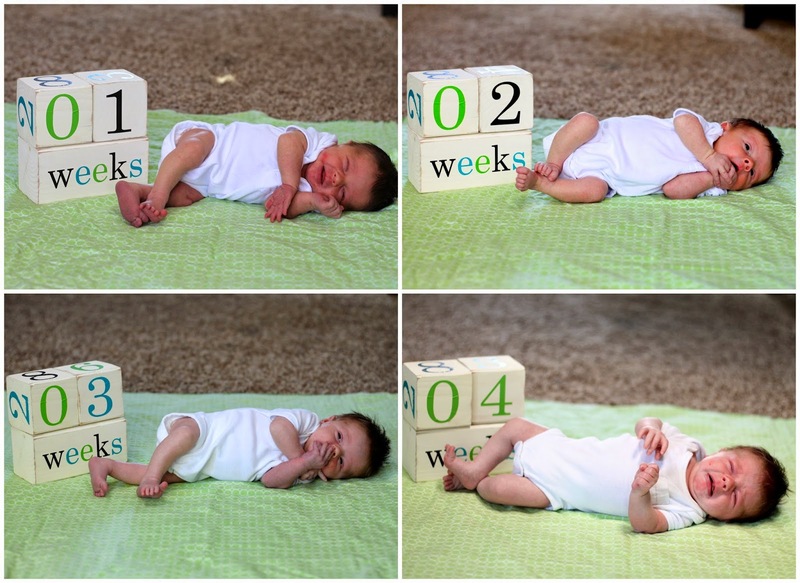 Seeing All Sides: Holden Beckett: 1 Month Old! 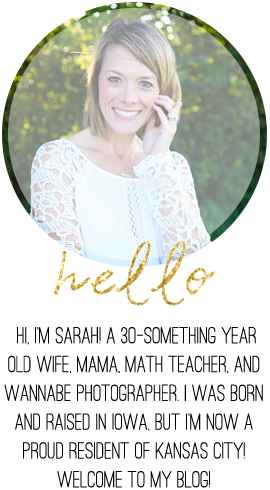 Well, now that we're a week and two days beyond your 1-month birthday, I'm finally getting around to blogging about this big milestone! Please forgive me, I had full intentions of getting it done last week, but then this happened. Nonetheless, I've been composing this blog post in my head for some time now and I'm excited to finally sit down and write it! I was a bit nervous that you were going to be a hellion baby. After all, Brantley was just perfect and slept through the night at one-month old. Well, your big brother must have shared his secrets because you, too, are no less than perfect! You are a super content baby and rarely ever cry. You're also a pretty amazing sleeper! You slept a full seven hours--through the night for the first time--on the night of your one-month birthday. (And a few times since, as well!) I'm beginning to think it's in my genes because there's no other explanation for a second amazing-sleeper of a babe. For me, there are a few differences with a second baby. I'm much less nervous this time around. Not that I was too uptight with Brantley, your dad and I have always been very laid back. However, with Brantley, I would wake up overnight and feel him often to ensure he warm (hence, still alive). With you, I've done that maybe twice? We also moved you into your crib the night before you turned a month old, whereas Brantley was 6.5 weeks old. I just really wasn't nervous about it and knew you'd be fine. With Brantley, I obsessively recorded everything - time of feedings, amount taken, diapers, etc. Though I did record things in your first two weeks of life, I was way more lax about it and have stopped recording altogether now. Maybe it's because I'm lazy, or maybe just because I'm more confident in my abilities as a mother. I'm gonna go with the latter. See, sometimes being a second child has its perks! As far as feedings go, we've gotten into somewhat of a routine. You eat six to seven times per day. I am still breastfeeding; however, we top you off with two ounces of milk after each session. As of recent, I've been able to pump enough to give those two ounces in breastmilk. It may seem silly to do it this way (when clearly my milk supply is sufficient), but it's comforting to know that, at the very least, you're getting a good two ounces at each feeding. All in all, I would guess you're eating 3 to 4 ounces total during each feeding. On the flip side, we've been giving all formula--a full four ounces--in your 10pm bottle. It's more filling and who knows, could be reason you're sleeping through the night. You are a much squirmier baby that your big brother was. Honestly, I think it's due to gas. You let out some massive farts that oftentimes are mistaken for your dad's! It's crazy and funny to me that a baby so small can make a noise so big! Your first month of life included a visit from Gramma & Papa Fritz, a visit from Grandma & Papa Sides, and your first trip to Iowa. 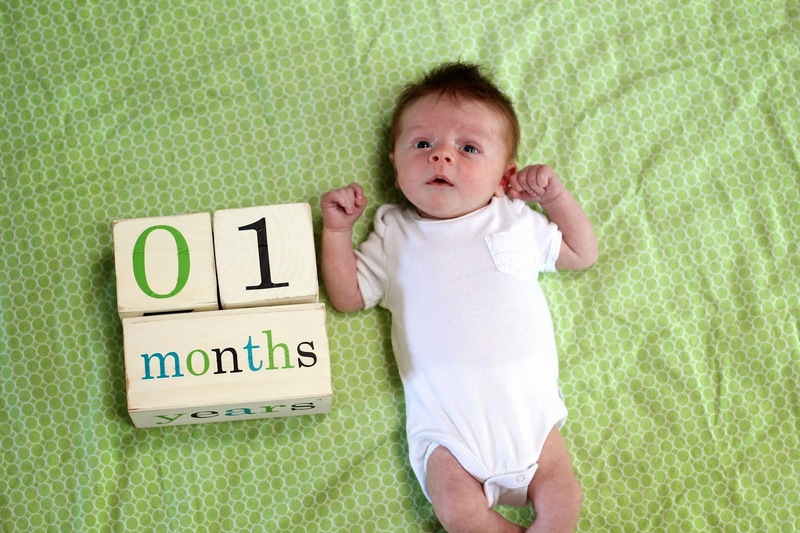 It's been a fantastic first month (and nine days), Holden Beckett. I look forward to seeing you change and grow in the months to come! Activity - Just a lot of eat, sleep, and poop. Some tummy time, though you can get pretty frustrated pretty quickly about it. Food - 3 to 4 ounces every 2.5 to 4 hours during the day and 4 to 7 hours overnight. I tried to get you on a schedule to make planning my days easier, but your sleeping through the night (and waking up at different times) messed with the schedule so I threw it out the window. I pretty much just go with the flow and feed you whenever you cry and/or seem hungry, but the times differ day-to-day. Sleep - You still sleep a lot during the days. You slept through the night (until 5:45) for the first time the night of your 1-month birthday. Since then, you've slept 5 to 7 hours straight each night. Bedtime/Waketime - We put you "to bed" after your 10pm bottle, though you often sleep a few hours prior in our living room. You wake to feed sometime between 4am and 7am, but often go back to sleep until your next feeding. Hair - Dark brown. And still a full head of it! Wardrobe - Mostly newborn size clothing still, but a few 0-3 month things. Diapers - Switched to size 1s on your one-month birthday. Likes - Being patted, your paci, the Sitter Seal white noise app, movement (the car, the swing, the stroller). Dislikes - There isn't much you dislike at this point. Being hungry is about it. Mommy's Fave - I love your hair. I think babies with hair are the cutest! I also love all the little faces and expressions you make at this point.